Motor sailer Barbara is one of the most appealing vessels in Croatia. 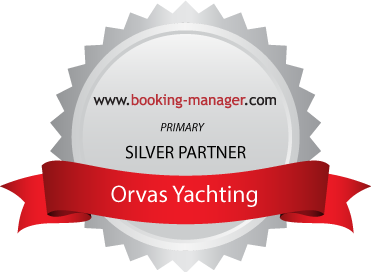 Launched in 2006, she is designed for luxury cruising in Croatia. Three masts, red lazyjacks, awnings and mattresses, white hull, teak and mahogany make Barbara such a special and impeccable ship. There are 16 cabins on Barbara – 6 on lower deck and 10 on main deck, and they accommodate up to 36 passengers. Cabins on Barbara are very comfortable and have all the modern facilities necessary for the feeling of complete comfort and safety: A/C, TV, Wi Fi connection, working table, mirrors, safety box, chair, safety and fire alarm installations, toilet and shower cabin. The size of cabins on Barbara is impressive, the largest cabin has almost 20 square meters. At their disposal guests have both inside and outside lounge areas. There are 7 crew members including captain, waiter, cook and his assistant, two deckhands and hostess. Not to forget, water toys range on Barbara is very decent – there are doughnuts, water ski, jet ski, snorkeling and fishing equipment. Whether you want to have a private group travel or incentive travel, motor sailer Barbara can meet the highest demands and let you experience luxury cruising on the Adriatic Sea.